StoneyBrook Suites - Assisted Living - Schedule a Tour Today! 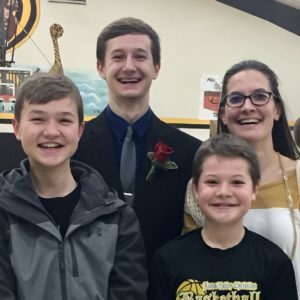 Brookings: You’re Invited! 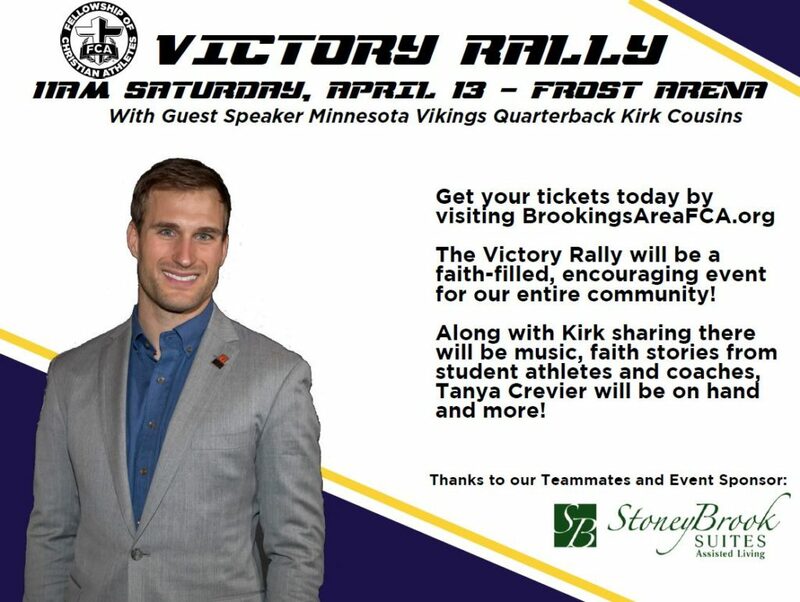 Saturday, April 13th at 11am Frost Arena: Victory Rally featuring guest speaker Minnesota Quarterback Kirk Cousins! StoneyBrook Suites is proud to be the official sponsor! Dakota Dunes:Thursday, April 25th from 2:00-4:00pm. Join us to celebrate our 10 Year Anniversary and our Nurse Nancy Jarmin’s 10 Year Anniversary with us! Come for treats, wine, and tours of our newly remodeled facility! We look forward to seeing you there! Over the past couple of months we’ve had the privilege of hosting the USD Occupational Therapy students in conducting a program to study some of our residents. The overall purpose of the study was to observe personal well-being, perceived health, and sedentary behavior. 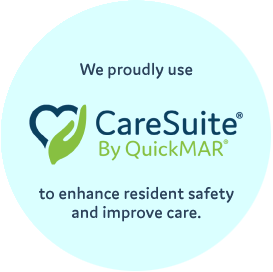 In order to track such findings, residents who opted into the program wore an actigraphy device, much like a pedometer. The students have gathered all of their data and are now compiling information and findings. 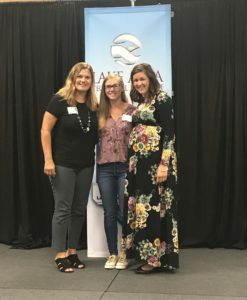 We greatly appreciated the opportunity to partner with USD in this study. Our residents enjoyed and looked forward to the students coming to visit them. We are anxious to review the findings and even more anxious to continue this partnership in the future! We’re all on life’s long journey, and for many of us it gets tougher and more unsure as we get closer to the end. Many of us will seek spiritual guidance and reassurance just as the Inuit people sought from each inukshuk. These stone people were placed and built as way-finding objects and spiritual booster shots. 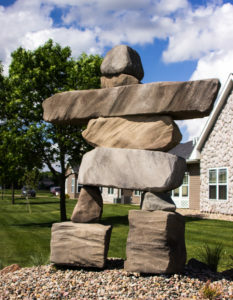 The traditional meaning of the inukshuk itself is “Someone was here” or “You are on the right path” or “Someone has gone before.” But there are other, more sacred intentions as well. One may mark a place of respect, or mark a memory of a loved one, or even lead people to food and shelter. Many become so venerated that destruction of any inukshuk is forbidden by Inuit tradition.